Garth Brooks lovers, get ready because your favorite country act is rocking its way to your nearest arena or club! Now you can enjoy this skilled group render their singular musical combination of music, and sing along with the band to many of your fave tracks! Garth Brooks concert tickets are popular and can get more expensive last minute, so don't lose your opportunity to get tickets on sale for less today and to check them out live when they make their next stop near you. Some of the popular songs for Garth Brooks are "Friends in Low Places", "The Dance", "The Thunder Rolls", "Standing Outside the Fire", and "Callin' Baton Rouge". As always, CheapTicketsASAP.com has the best cheap concert tickets for sale. We sell concert tickets. (PayPal Credit Card and other forms of payment accepted) So make sure to visit our web-site today! It's possible you could get a cheaper deal with us than ebay, stubhub, ticketmaster, other ticket websites, or even box office tickets. Just check upcoming concerts near me above, click the find tickets button for the dates you want and you'll be able to see ticket prices from available tickets, select from the seating chart for the event and buy tickets online. Garth Brooks in Las Vegas, in New York, in Seattle, in Los Angeles, in New Orleans, in Phoenix, or just about anywhere, check with us for tour tickets. To check out all of Garth Brooks's concert dates and get tickets, all you need to do is click here on CheapTicketsASAP.com. Check out now if Garth Brooks is touring your city, music festival or summer concert series. We are always adding concert tickets released today. 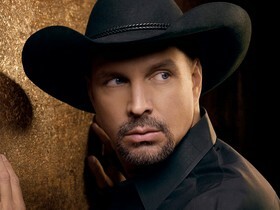 If we don't have any cheap Garth Brooks tickets available now, be sure to check again soon. CheapTicketsASAP.com acts as an intermediary between buyers and ticket sellers to facilitate the purchase and sale of Garth Brooks tickets, and as such is not directly involved in the actual ticket sale transaction between the buyers and TICKET SELLERS. All sales are final. As tickets sold through CheapTicketsASAP.com are often obtained through the secondary market and prices are determined by the individual seller, the prices for tickets may be above or below face value. Garth Brooks Tickets sold through CheapTicketsASAP.com are from a third party; therefore, the buyer's name will not be printed on the tickets. Tickets may be sent by email when stated so. Please note that the name on the tickets does not affect the buyer's ability to access the Garth Brooks event.